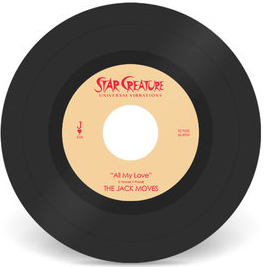 New Jersey’s soul slangers THE JACK MOVES re-surface on 45. This 7″ revisits 2 uptempo groovers from their WAX POETICS debut, the self titled modern classic featuring a mix of a sweet low rider & modern player soul. These cuts are ready for the dancefloor. Organic sounds for all DJ’s alike.